It is a delicious irony that Patrick Buchanan's new contribution to the flourishing genre of World War II revisionism should appear in the same season as Nicholson Baker's Human Smoke. Baker and Buchanan probably could not stand to be in the same room. The former is to the left of most Democrats, the latter to the right of most Republicans. But both men have written books arguing that World War II was an unnecessary folly, with Winston Churchill as the villain. Baker's book has been dismissed as the ignorant blundering of a novelist who wandered far out of his depth. But Buchanan's book is more dangerous. Buchanan was once a notable presence in mainstream American politics. Since 1996, he has left the mainstream behind by publishing a series of books whose Spenglerian rhetoric about the decline of the West lays bare the racist and reactionary premises of his thought. Buchanan deploys a rhetoric of violence and treason. He is a man who can write that "we are on a path to national suicide" because the "American majority is not reproducing itself," with the result that "Asian, African, and Latin American children come to inherit the estate the lost generation of American children never got to see." What happens when such a man turns to World War II? This book provides the answer. Ostensibly, the targets of his invective are Churchill and the British Empire. Only in his closing pages does Buchanan state explicitly that his blast at the British past is really a polemic about the American future. "There is hardly a blunder of the British Empire we have not emulated," he writes. Buchanan's historical argument itself is a series of clichés enlivened only by malign sophistries. 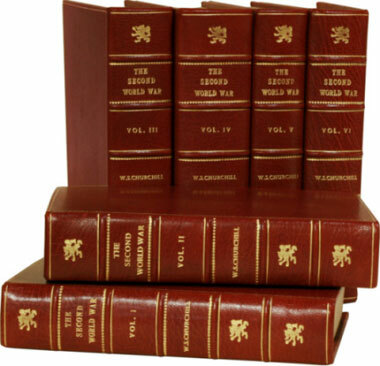 Most of the book retells the story of the suicide of Europe in the two world wars. When Buchanan is not quoting popularizing histories, he is quoting the most popular of their revisionists such as Niall Ferguson. But the most important source for Buchanan is the British military historian Correlli Barnett, who is quoted very copiously. Buchanan makes only one controversial claim: that Britain should not have offered to guarantee Poland against Nazi aggression in April 1939. Buchanan argues that Hitler admired the English as racial comrades, and more than once floated the prospect of the two nations dividing up the world between them. His real target was the Soviet Union, and it would have been better for Britain and the world to allow those two monstrous tyrannies to fight each other alone. It is hard to say which aspect of this argument is more objectionable, the factual or the ethical. Factually, it is ludicrous to suggest that Britain would have been better off allowing Germany a free hand in Eastern Europe. When Hitler did invade the Soviet Union, in June 1941, he came within a hairsbreadth of immediate victory. Had Britain not been in the war at that point, there is good reason to think that the Wehrmacht would have been in Moscow by the end of the year. At that point, it would have been suicidal for Britain to declare war on Germany. Buchanan's weak grasp of strategy merges with his weak grasp of ideology. For he writes about Nazi Germany as a "realist," that is, as one who believes that its ideological character was less important than its power-political goals. He could have been cured of this delusion by reading Hannah Arendt, who argues that Nazism was not a party but a movement, which could keep itself alive only by constant motion, new conquests, new transformations of society. Hitler made very plain that Germany was only the beginning of his ambitions, which ran to the complete reorganization of the world as a racial hierarchy. Left to his own devices, Hitler would have completed the genocide of the Jews, made Poland and Ukraine German slave colonies, depopulated Russia, and committed even more horrors against the "Christian peoples" for whom Buchanan professes such solicitude. Churchill was the one British statesman who recognized that a Europe dominated by Hitler could never be at peace, and who never wavered from the consequences of this insight. Here lies his greatness, and not in every act and pronouncement of his long, checkered career, which Buchanan maliciously combs through. Buchanan devotes a section of his book to Churchill's anti-immigration stand in the 1950s: Churchill believed that "Keep England White" was "a good slogan." He is even brazen enough to write that, had Churchill prevailed, England would not have become "the multiracial, multicultural nation of today." When one remembers that if there is one cause Buchanan himself cherishes it is immigration restriction — when one recalls his words on "national suicide" and the "invasion" of America by nonwhites, and his constant inveighing against multiculturalism — his criticism of Churchill is truly shameless hypocrisy. 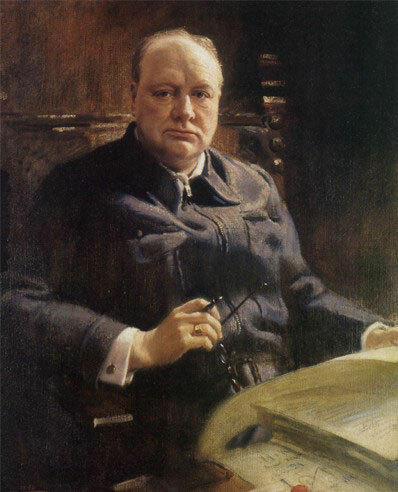 Churchill's character was well-known during his lifetime. In the 1930s he was one of the most unpopular politicians in Britain. He came back from exile to be named prime minister in May 1940 not because he was a perfect statesman but because he was indomitable. Pity the nation that reaches a point where it needs a Churchill to save it; but pity even more a nation that, needing a Churchill, fails to find one. One would probably get wide agreement for the proposition that the second world war was a "good war" and one well worth fighting. To the conventional wisdom add the titanic figure of Winston Churchill as the emblem of oratorical defiance and the Horatius who, until American power could be mobilized and deployed, alone barred the bridge to the forces of unalloyed evil. Buchanan opens his book with the statement, "All about us we can see clearly now that the West is passing away." The tropes are familiar — a loss of will and confidence, a collapse of the desire to reproduce with sufficient vigor, a preference for hedonism over the stern tasks of rulership and dominion and pre-eminence. It all sounds oddly Churchillian. Buchanan makes some sound points about the secret diplomacy of Old Europe. And he is excellent on the calamitous Treaty of Versailles that succeeded only in creating the conditions for another world war, or for part two of the first one. To believe Buchanan's argument that a conflict with Hitler's Germany both could and should have been averted, one has to be prepared to argue that Hitler was a rational actor with intelligible and negotiable demands, whose declared ambitions were presumably to be disregarded as mere propaganda. In his view, Germany had been terribly wronged by Versailles and it would have been correct to redraw the frontiers in Germany's favor and soothe its hurt feelings. Meanwhile we should have encouraged Hitler's hostility to Bolshevism and discreetly rearmed in case he should also need to be contained. This might perhaps have worked if Germany had been governed by a right-wing nationalist party that had won a democratic vote. But in fact Germany was governed by an ultra-rightist, homicidal, paranoid maniac who had begun by demolishing democracy in Germany itself, who believed that his fellow countrymen were a superior race and who attributed all the evils in the world to a Jewish conspiracy. The whole and complete lesson is not that the second world war was an avoidable "war of choice." It is that the Nazis could and should have been confronted before they had fully rearmed and had begun to steal the factories and oilfields and coal mines and workers of neighboring countries. As the book develops, Buchanan begins to unmask his true colors. It is one thing to make the case that Germany was ill-used, and German minorities harshly maltreated, as a consequence of the 1914 war of which Germany's grim emperor was one of the prime instigators. It's quite another thing to say that the Nazi decision to embark on a Holocaust of European Jewry was "not a cause of the war but an awful consequence of the war." This will not do. Buchanan repeatedly argues that Churchill did not appreciate Hitler's deep-seated and respectful Anglophilia, and he continually blames the war on several missed opportunities to take the Führer's genially outstretched hand. It is true that millions of people lost their lives in this conflict and that new tyrannies were imposed on the countries that had been the pretexts for a war against fascism. But unless or until Nazism had been vanquished, millions of people were most certainly going to be either massacred or enslaved in any case. Whereas today, the ideas of racism and totalitarianism have been historically discredited. Winston Churchill may well have been on the wrong side about many things, and he may have had a lust for war, but we may also be grateful that there was one politician in the 1930s who found it intolerable even to breathe the same air as the Nazis. The more the record is examined, the more creditable it seems that at least two Western statesmen regarded coexistence with Nazism as undesirable as well as impossible.